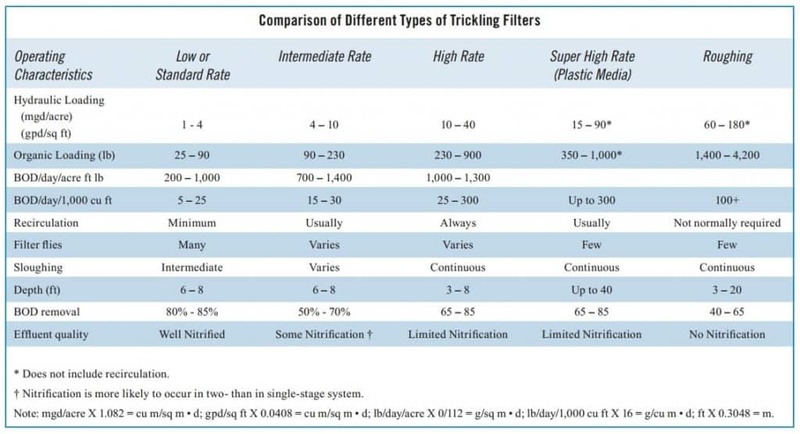 What is a trickling filter?? 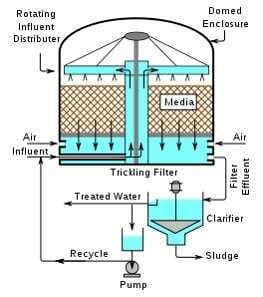 Trickling filter is a type of waste water treatment process, which is an attached growth process. In this process the microorganisms responsible for digestion are attached to an inert filter material. This Packing material can be rock, gravel, sand and a wide range of plastic and other synthetic materials. In other words the removal of pollutants from waste-water involves both absorption & adsorption of organic materials by the layer of microbial bio-film. The packing media is typically chosen to provide a very high surface area to volume. It is Also known as trickling bio-filter, trickle filter, bio-filter, biological filter. These systems have also called as roughing filters, intermittent filters, packed media bed filters, alternative septic systems, percolating filters, attached growth processes, and fixed film processes. What can this process do? Tank is filled with solid media like Rocks or Plastic, bacteria grows on surface of media. Wastewater is trickled over media, at top of tank. As water trickles through media, bacteria degrade BOD, The thickness of the aerobic layer is limited by the depth of penetration of oxygen into the microbial layer. Bacteria eventually die, fall off of media surface, known as sloughing. The sloughed off film and treated wastewater are collected by an underdrainage which also allows circulation of air through filter. Finally liquid is collected and passed to a settling tank used for separation of solid- liquid. 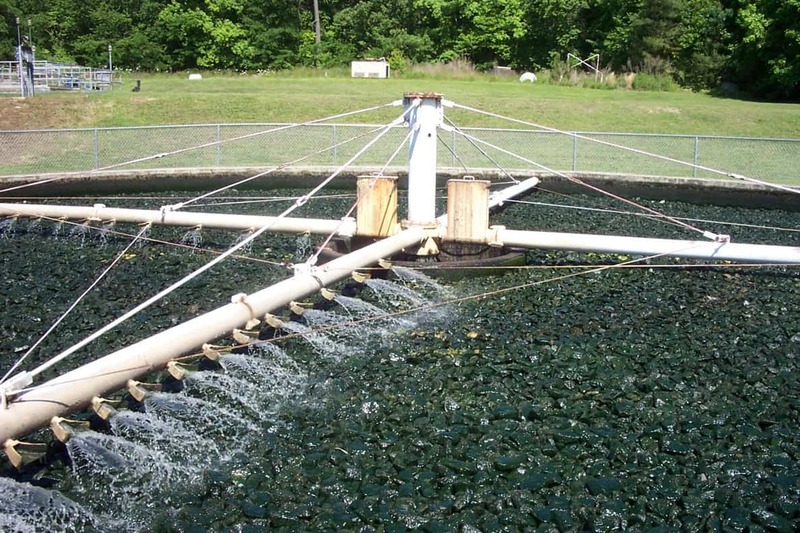 Part of water is recycled back to the filter in order to maintain moist condition. Is to to carry the filtered wastewater and the biomass lump (sloughed solids) from the filter to the final clarification process. It provides ventilation for filter to maintain aerobic conditions. The under drain system is generally designed to flow one-third to one-half full to permit ventilation of the system. In TF system, Air is supplied by natural draft or forced draft fan. Forced draft fans is applied in order to provide the adequate oxygen. Wash the filter surface with a stream of water under high pressure. Dose the filter with heavy applications of chlorine. Take the filter out of service for a period of one day or longer to allow it to dry out. Dose filter continuously, not intermittently. Maintain aerobic conditions in all units, including settling tanks and waste water system.